A Slim Jim is a smoked sausage stick that is similar to beef jerky. You mostly find them at gas stations and 7-Elevens. Randy “Macho Man” Savage used to be the spokesman for Slim Jim. He got paid millions of dollars and received a lifetime supply of the meat sticks. He’s dead now. Just something to think about before you buy one. If you think that hot dogs are gross, you should read the ingredients in a Slim Jim. Anyone for mechanically separated chicken? Slim Jims are alright. I normally prefer regular beef jerky, but every once in a while you feel like snapping into a Slim Jim. A little mystery meat never hurt anyone. Except for Randy “Macho Man” Savage. Did I mention that he’s dead? Because of Slim Jims? 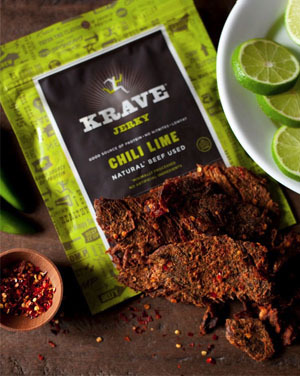 Krave Jerky is a brand of premium jerky. 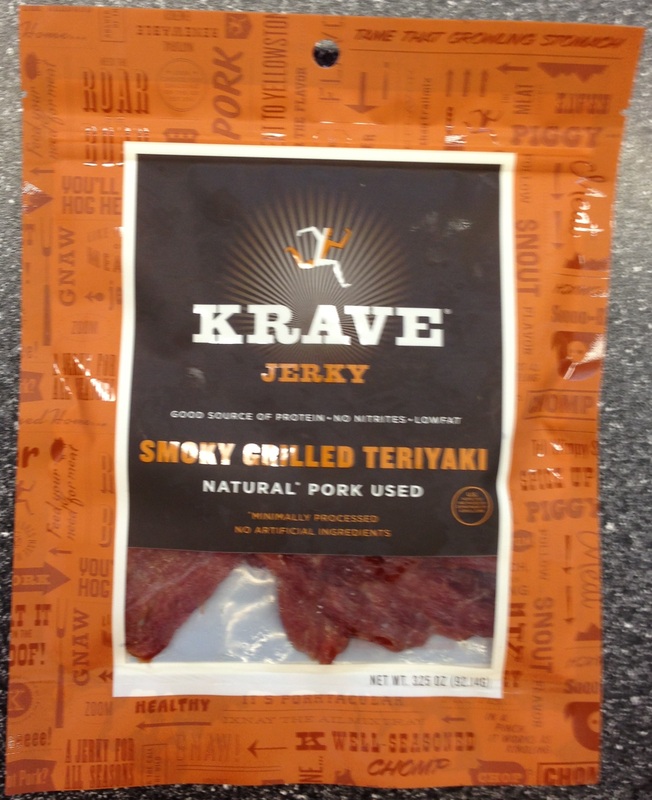 They make beef jerky, they make turkey jerky, and apparently they also make pork jerky. And that’s what Smoky Grilled Teriyaki is. It’s pork. You can tell by the smell that it’s pork and not beef. It’s really sweet. It’s like eating candied pork or a stale slice of ham. You can’t really taste any smoke or teriyaki flavors. It’s just overpriced sweetened hunks of dried pork. 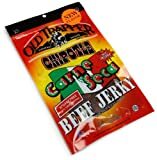 It’s worth trying because it’s a different type of jerky than you’re used to, but it’s only worth trying once. It’s kind of a disappointing experience. I also think that the minimize the fact that it’s pork on the package. It seems like it would be too easy for somebody to grab it without realizing that it’s pork. And that’s not kosher.